Nothing can hold back the indomitable Spirit of kids who may have less fortunes, but more will to live life. 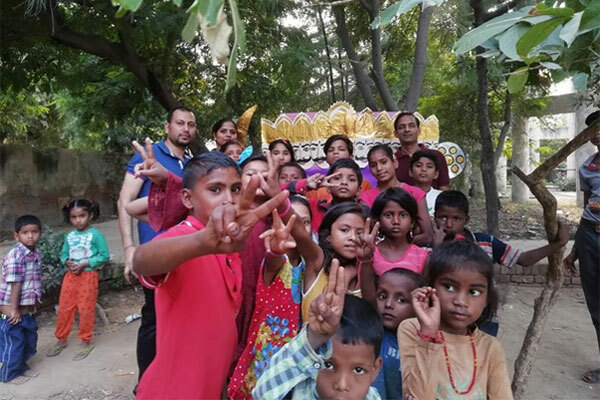 Ek Sankalp, with a dream to make a significant and positive change in the lives of these kids, decided to celebrate Dussehra with them. 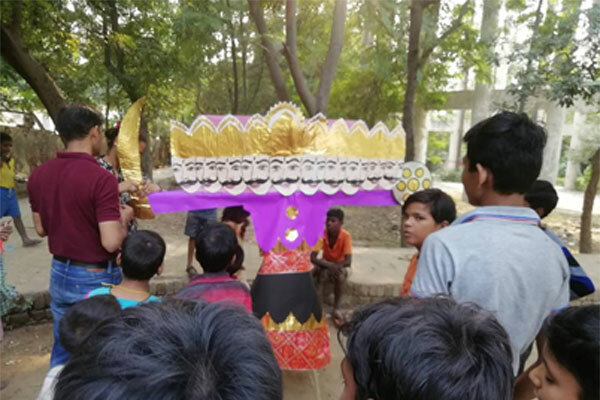 All kids were enthusiastically engaged in crafting the effigy of Ravana with material provided by our team. 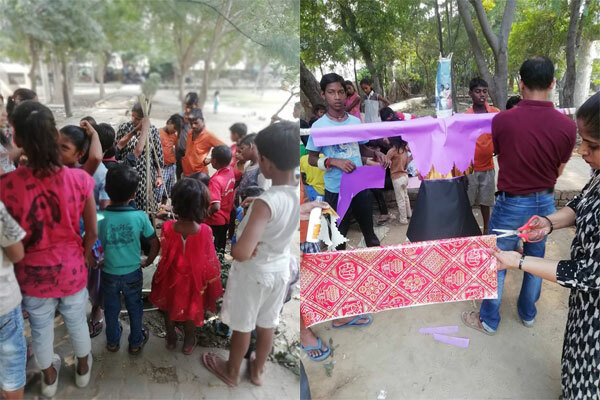 After the massive Dashanana was ready, kids were elated and eagerly waiting to burn it down. All encircled the Ravana and set it on fire, hence marking the Victory of Good Over Evil. 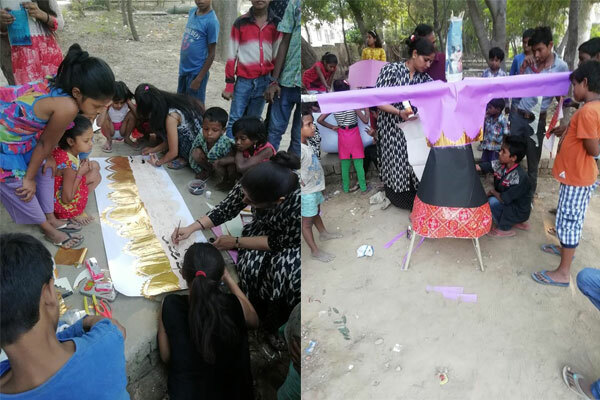 Ek Sankalp lit the Flame of Hope within every kid, telling them that no evil is bigger than Good Spirit. 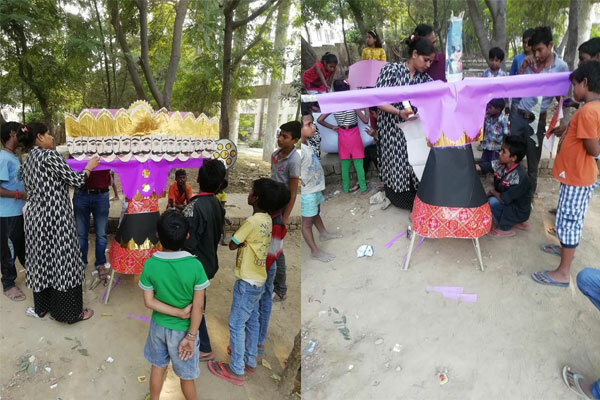 It was a Dussehra with a Difference. 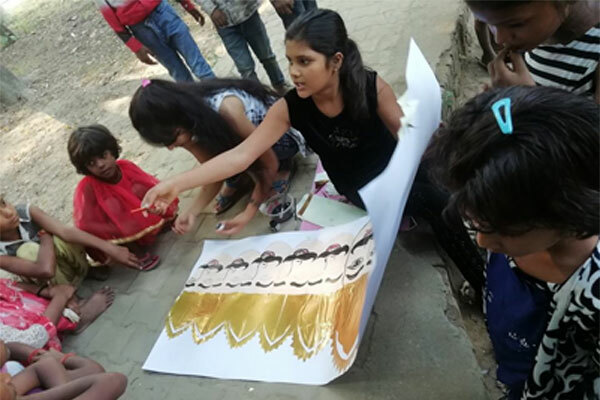 Team EkSankalp is overwhelmed with the energy of these kids and we wish to put all our efforts in upcoming events which would bring these kids in the mainstream of society and hence bring smile on their faces. We aim at bringing happiness and meaning in the life of every repressed kid of the globe who is, for any reason is left behind in society. Good Intentions are Supported by God and We Believe in it.